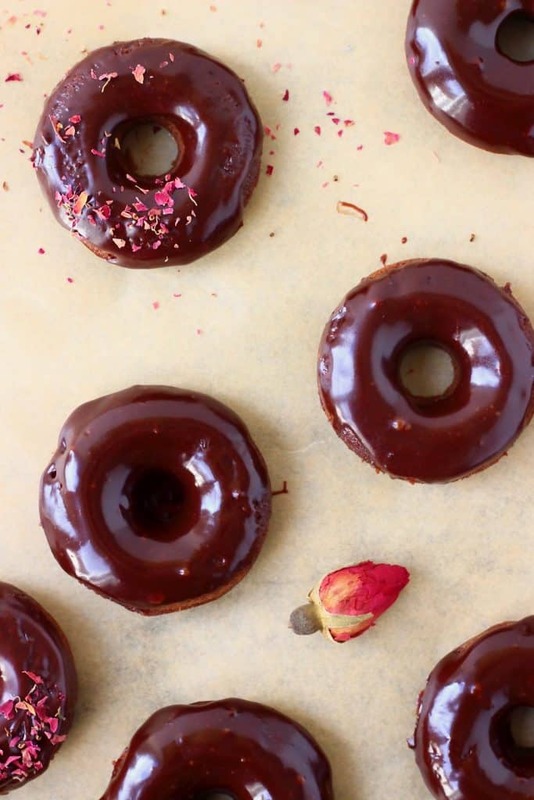 These Vegan Chocolate Baked Donuts are moist and fluffy and covered in a shiny chocolate glaze. 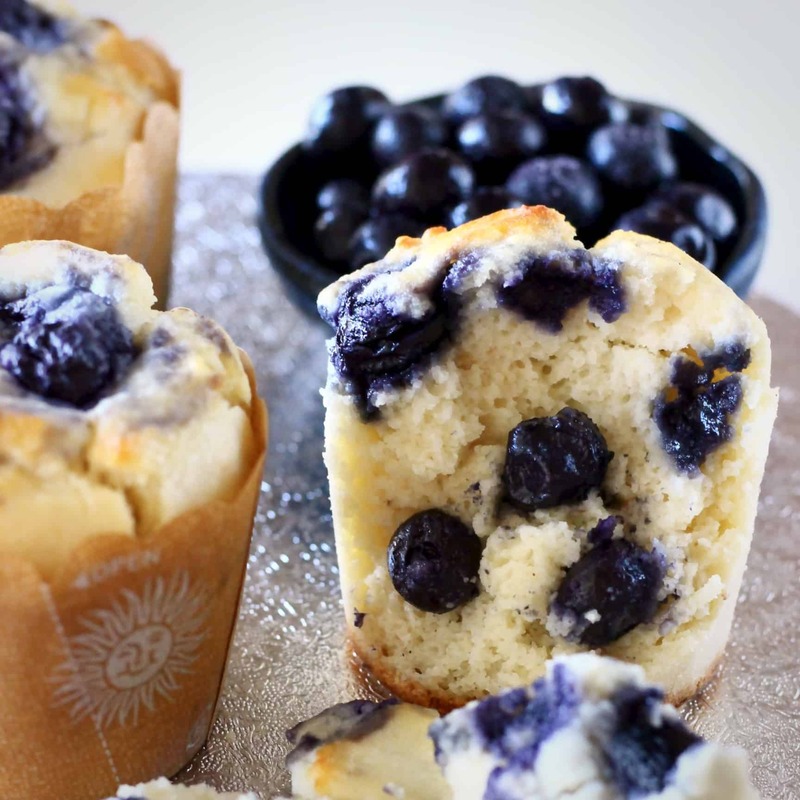 they’re great for a snack, dessert or party food! 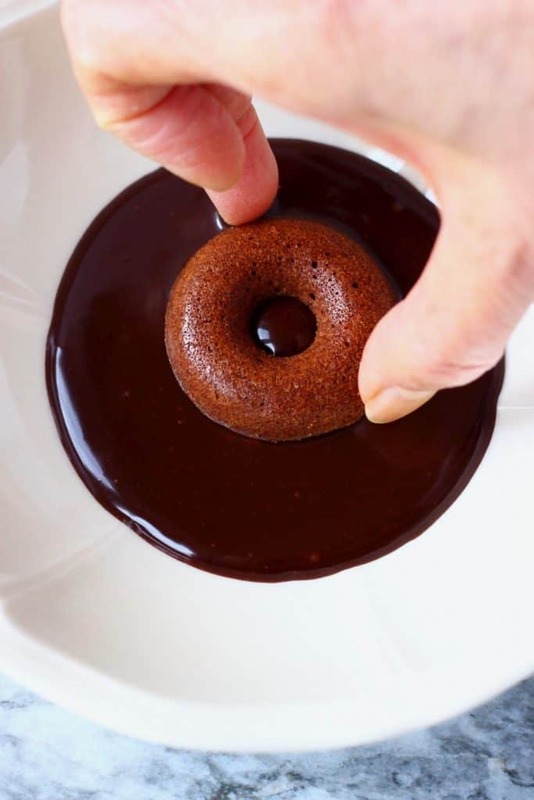 Transfer the batter into a donut tin. Tip: Grease the tin first to make the donuts easier to remove afterwards. Bake in oven for around 10 minutes, until risen and an inserted skewer comes out clean. cooling rack to cool slightly before applying the glaze. Melt the coconut oil in a bowl over a saucepan of boiling water or a microwave. Mix in the maple syrup and cocoa powder. 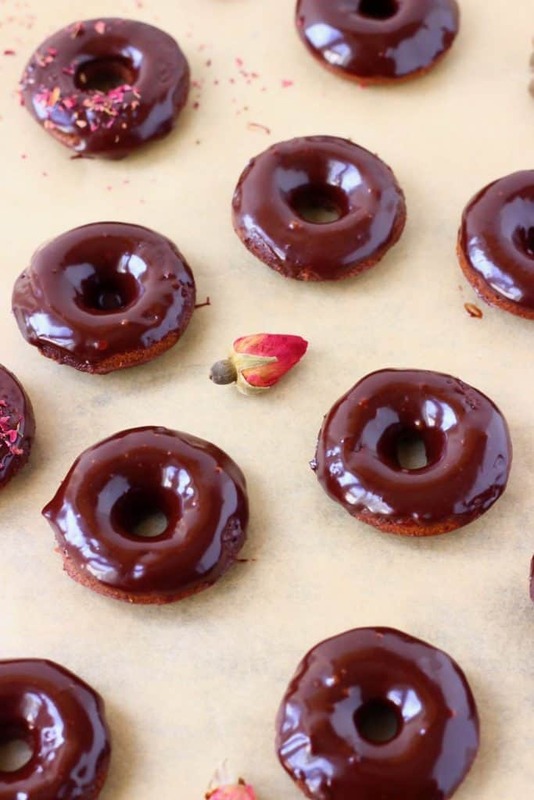 Tip: Make sure to scatter these ingredients over the donuts while the glaze is still wet, otherwise they won’t stick! 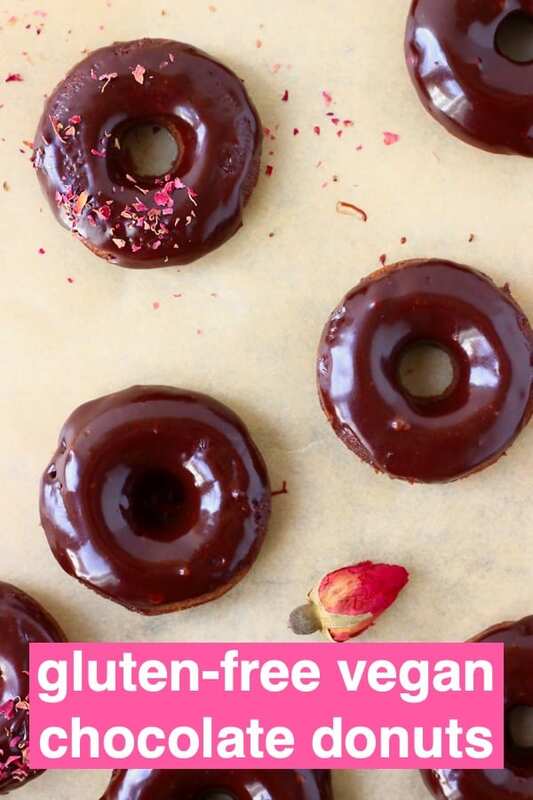 How long do these Vegan Chocolate Baked Donuts keep for? 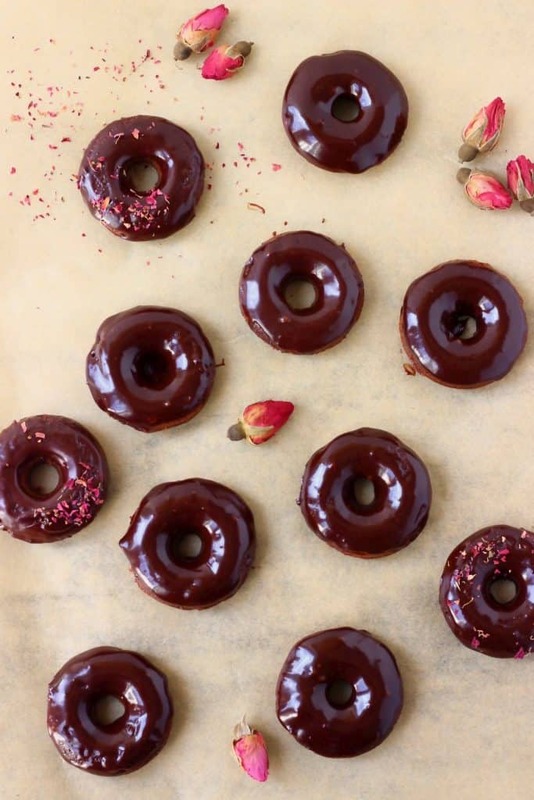 These donuts taste best when fresh but keep covered in the fridge for up to a few days. 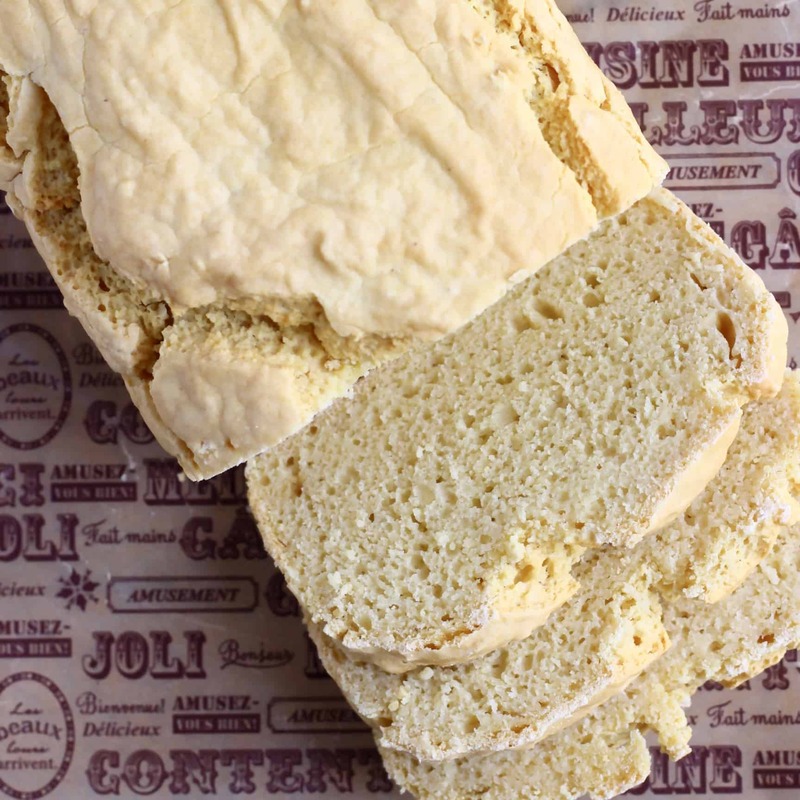 you can use plain flour instead of the gluten-free flour if you’re not gluten-free. 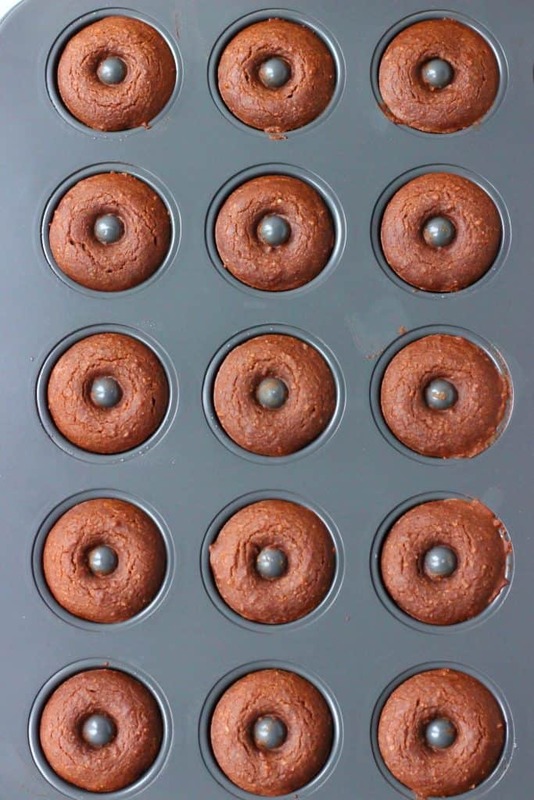 The amount of batter specified in the recipe is the right amount to fill the whole of the donut tin I used, but if you have some leftover batter you can put them into cupcake cases and use it to make cupcakes – just remember to adjust the cooking time accordingly. 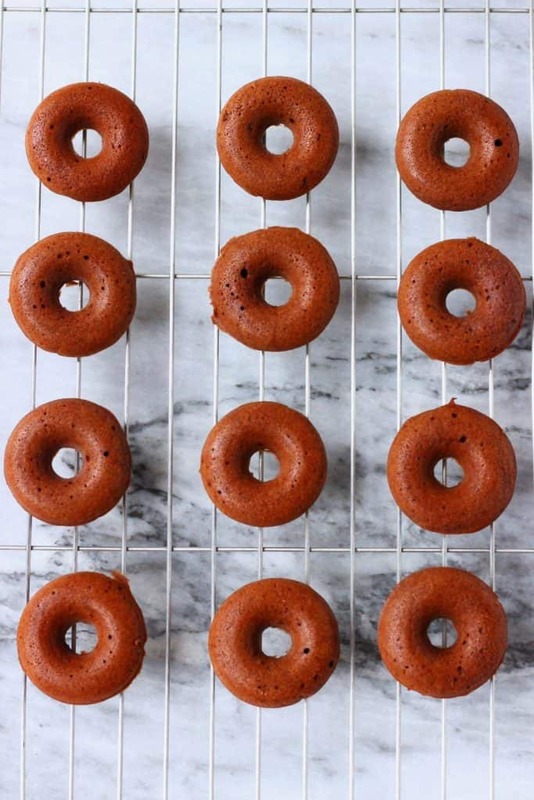 I used a mini donut tin, but if you have a large donut tin, that will work too – just remember to adjust the cooking time accordingly. If you don’t have a donut tin, this batter can be used to make cupcakes – just remember to adjust the cooking time accordingly. If you liked these donuts, check out my Matcha Baked Donuts! 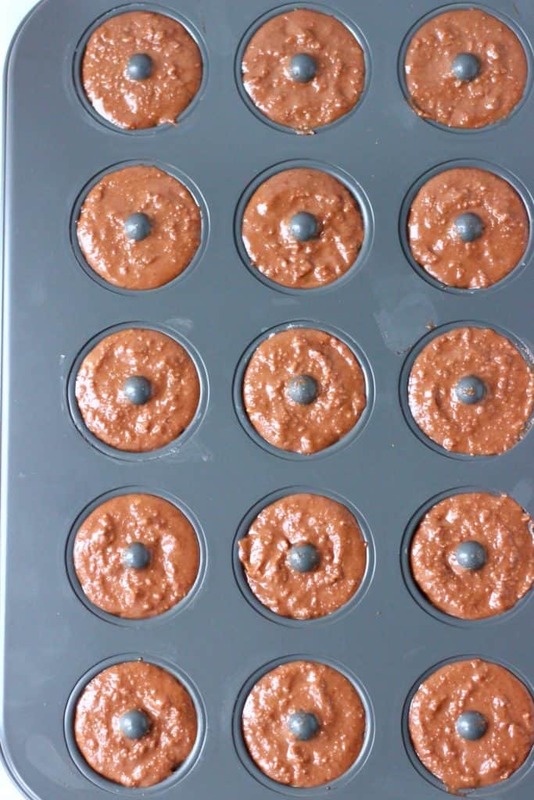 The amount of batter specified in the recipe is the right amount to fill the whole of the donut tin I used, but if you have some leftover batter you can put them into cupcake cases and use it to make cupcakes - just remember to adjust the cooking time accordingly. I used a mini donut tin, but if you have a large donut tin, that will work too - just remember to adjust the cooking time accordingly. If you don't have a donut tin, this batter can be used to make cupcakes - just remember to adjust the cooking time accordingly. Hi Rhian, I tried my second batch without the cocoa powder but they donuts sank in the middle, I’m not sure why? My first batch with the cocoa powder was fine though. 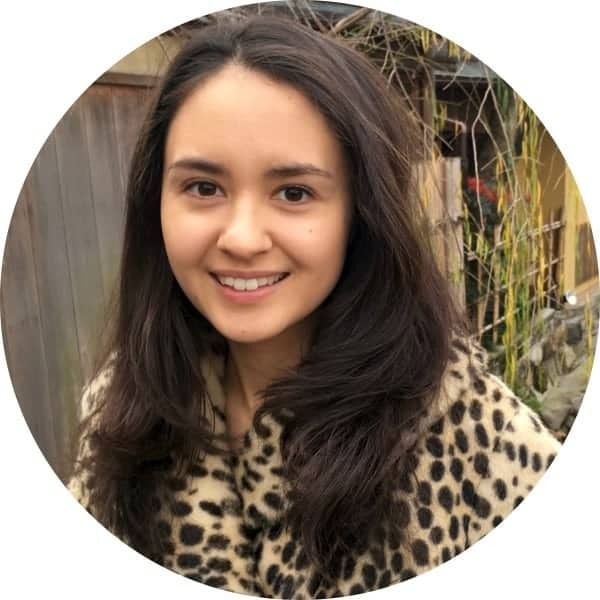 Hi Dora, thank you for your feedback! I’m glad it worked with the cocoa. I’m not sure why the second batch sank but if making again I would recommend maybe using a few tablespoons less of plant-based milk if making without the cocoa powder. Though it shouldn’t really have made too much of a difference. Did you use the same amount of baking powder both times? So sorry about that and thank you for the feedback! 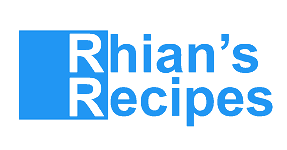 Hi Rhian, yes I used the same amount of baking powder both times. But maybe because I did it in a rush the second time and somehow it affected the results. Ok, thanks for your tip. I’ll try it with less milk next time and see how it goes. Ok, thank you for letting me know. Please let me know how you get on next time, thank you! Hi Rhian, it me again. 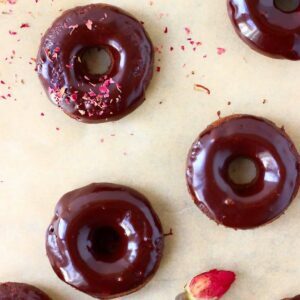 I was wondering if I could make a strawberry version of these donuts using strawberry puree instead of milk? Will it work? 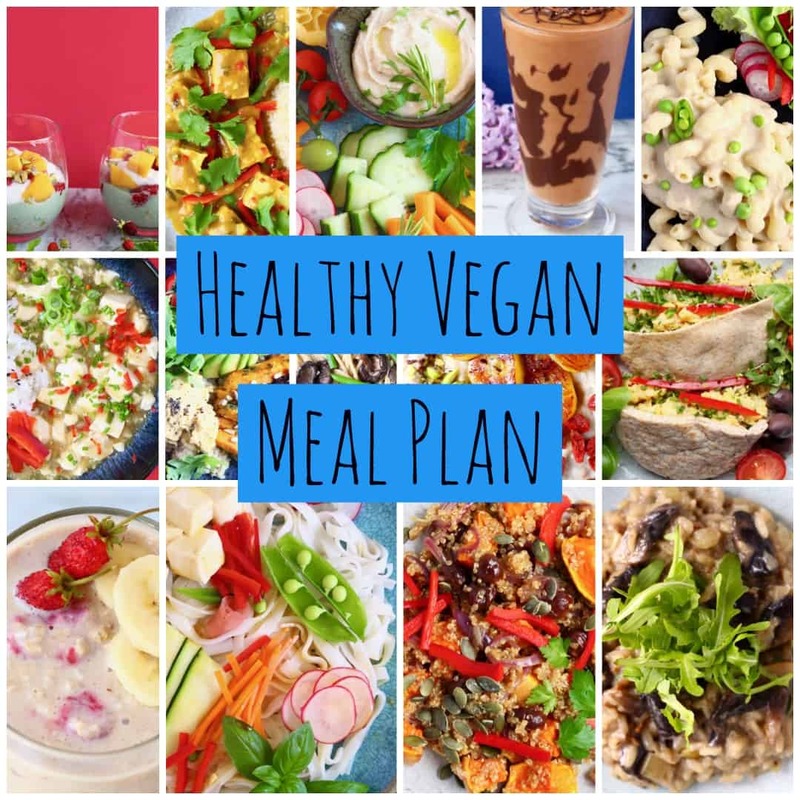 Have you tried it before? Hi! Yes that would work! 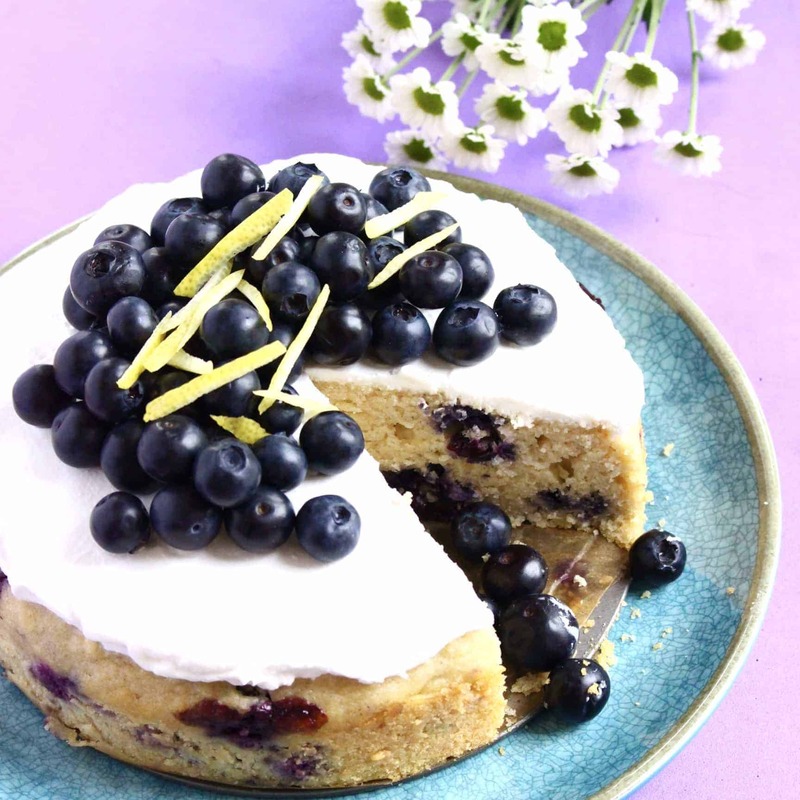 You can use my strawberry cake recipe for reference: https://www.rhiansrecipes.com/gluten-free-vegan-strawberry-cake/ it’s a very similar recipe using strawberry puree instead of milk! Thank you so much, so glad you liked them! And thank you for sharing your substitutions, that’s really helpful to know!